At MSU's Mitchell Memorial Library, John Marszalek recently showed visiting high school students a selection of President U.S. Grant's papers--something they now also may view online. STARKVILLE, Miss.--With the digitization process now complete, the 31 volumes of Ulysses S. Grant's collected papers now are available online through the Mississippi State University Libraries. The volumes contain thousands of letters written by and to the 18th U.S. president and former Civil War general and Union Army hero. Also including military documents, other materials and numerous photographs, the collection may be viewed free via the Ulysses S. Grant Association's Web site, http://digital.library.msstate.edu/collections/usgrant/index.html. John F. Marszalek, the association's executive director and managing editor, said the organization wants the archive available to the broadest audience of researchers, historians and others interested in the prominent 19th century figure who led the country for two terms spanning 1869-77. In its physical form, the complete Grant collection of about 350,000 items spans some 15,000 linear feet of traditional storage. "Digitizing these papers and making them available online for free is the modern way of sharing information with the world," said Marszalek, a nationally prominent Civil War historian, author and MSU Giles Distinguished Professor Emeritus. Frances Coleman, dean of libraries, said the Grant Collection project, including the digitization process, has involved a partnership of effort and support by the campus repository she leads, the Grant Association and MSU President Mark E. Keenum. "We're all partners and very honored to be a part of this," Coleman said. Marszalek said the collection database allows a full-text search, including footnotes. This makes searching easier when seeking specific names, dates or places, he added. The collection begins in 1837, as a 15-year-old Grant soon is to leave for the United States Military Academy at West Point. It ends with the retired chief executive's 1885 death from cancer as he rushed to complete his memoirs. Political cartoons of the day and sheet music written about Grant--ranging from military marches to funeral dirges--are among other items that may be viewed. 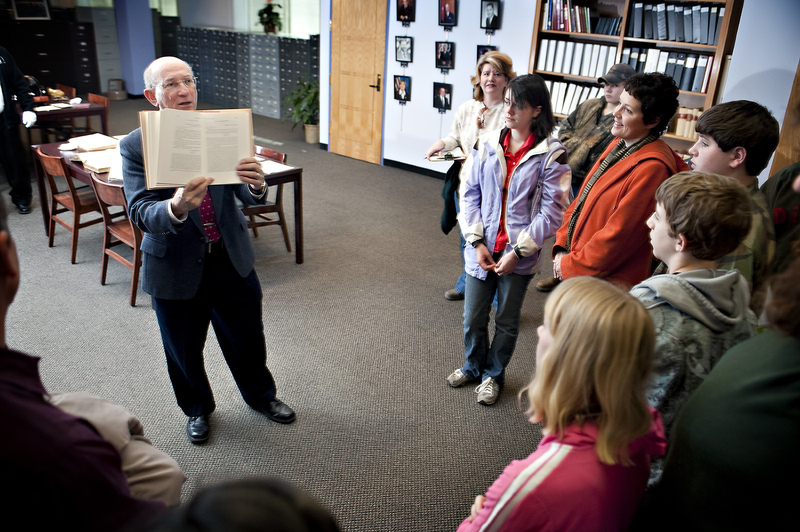 In late 2008, the Grant collection relocated to MSU from Southern Illinois University, Carbondale, following the death of John Y. Simon, the association's longtime director and editor. Marszalek said the digitalization will open another door into the collection, "but will not substitute for visiting the physical collection at Mitchell Memorial Library." For more information on the Grant collection, contact Marszalek at 662-325-4552 or jmarszalek@library.msstate.edu.